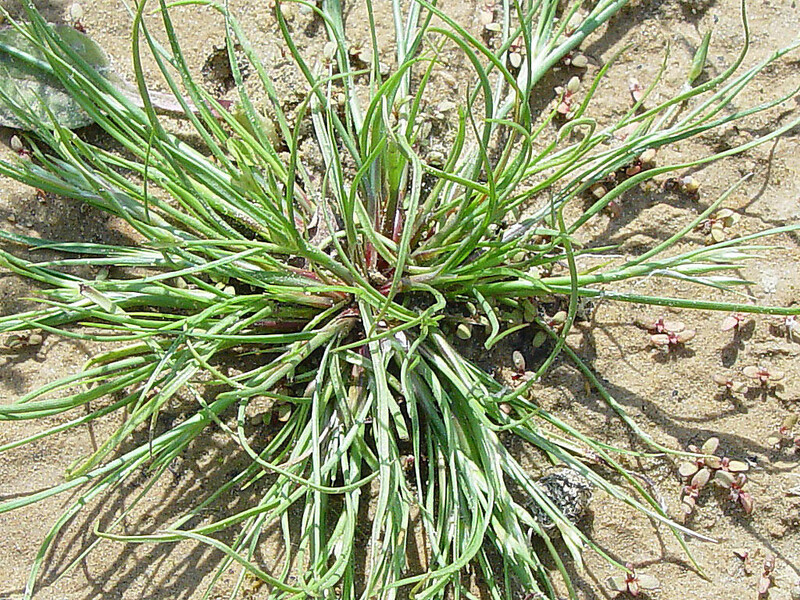 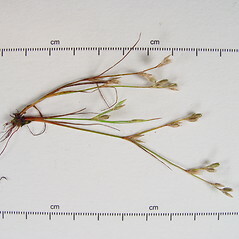 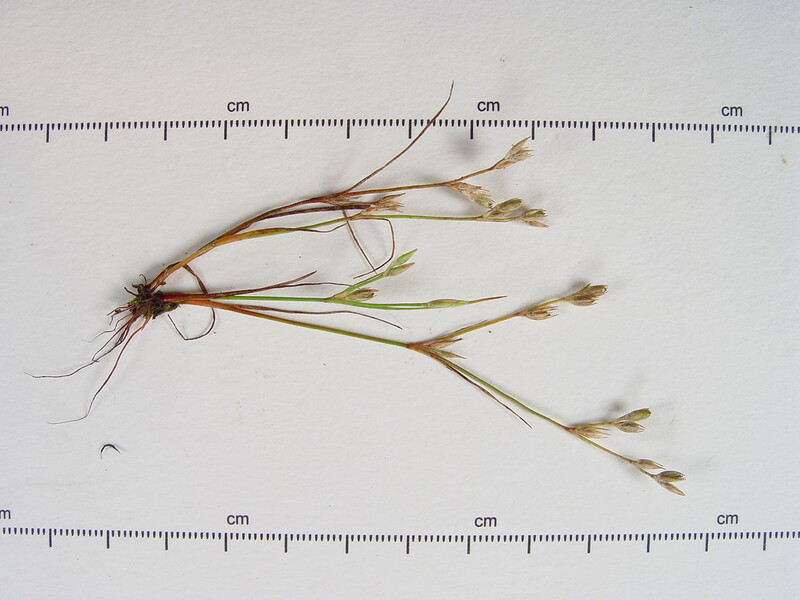 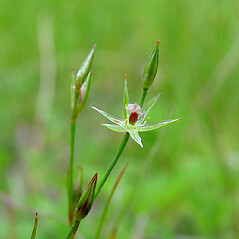 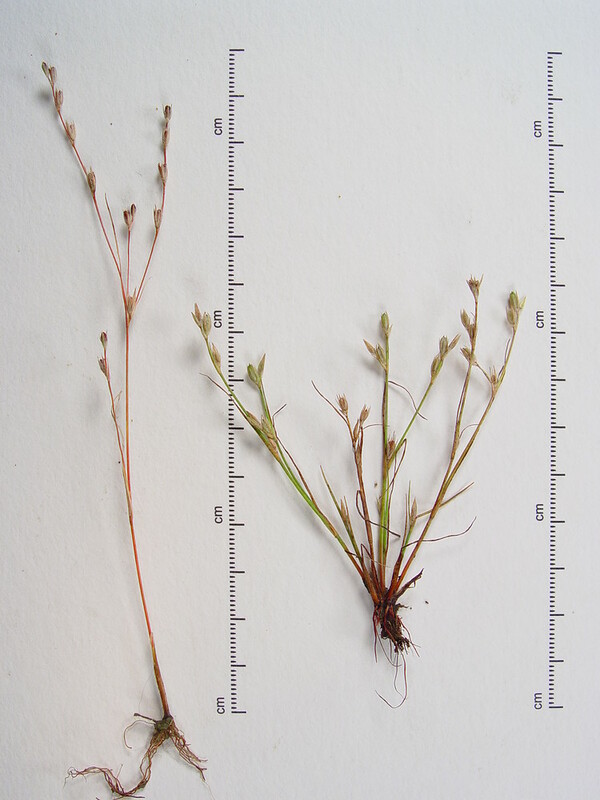 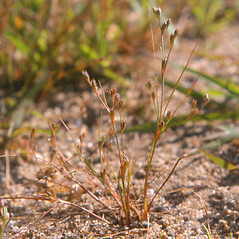 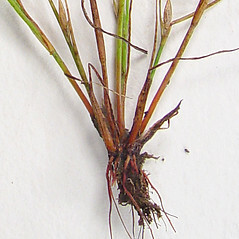 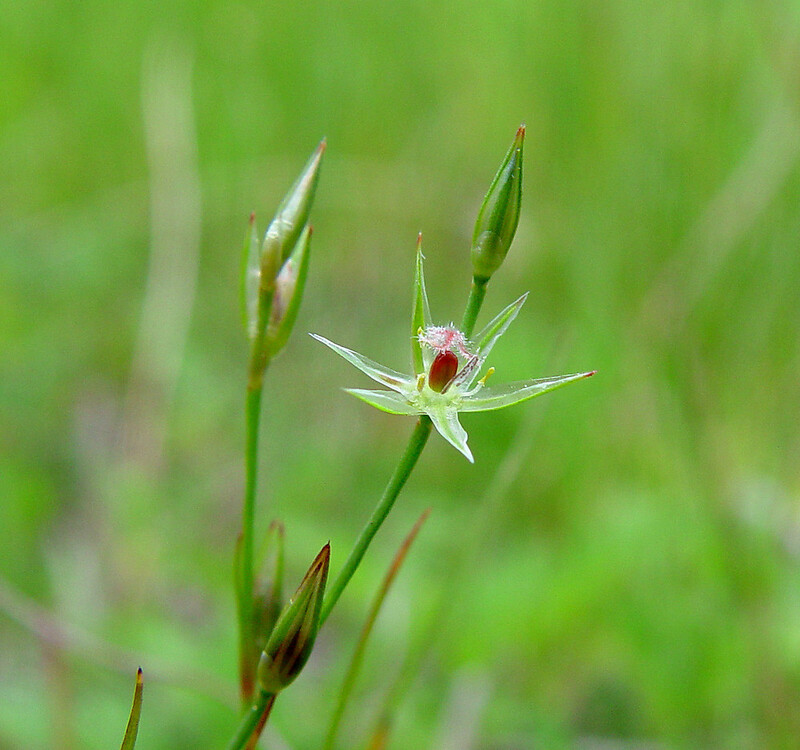 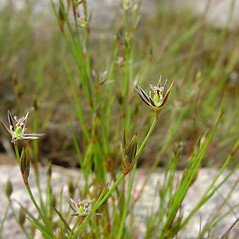 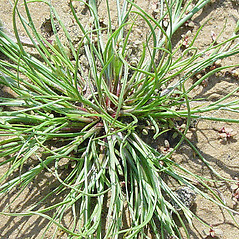 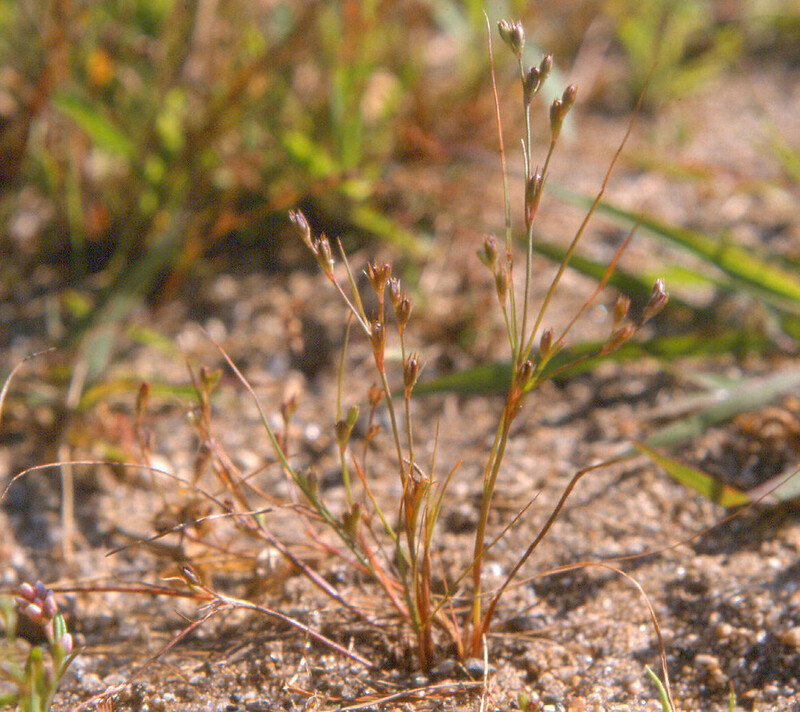 Toad rush has a nearly worldwide distribution. 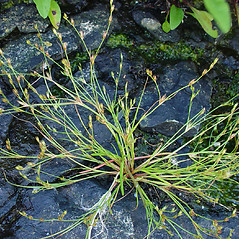 In New England it is found in a variety of wet, open habitats. 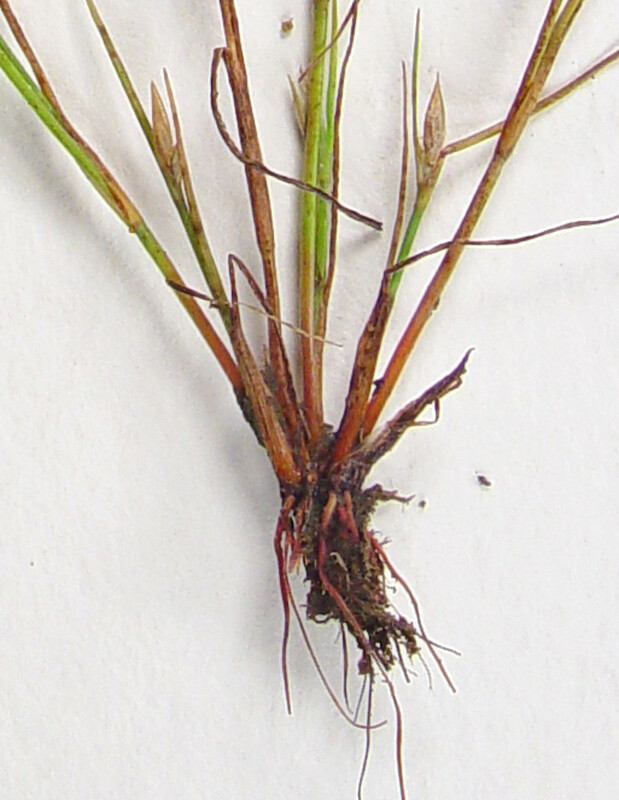 Iroquois runners took an infusion of toad rush as an emetic to induce vomiting before a race. 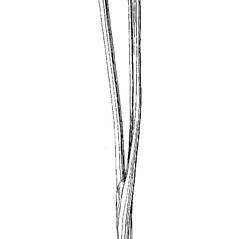 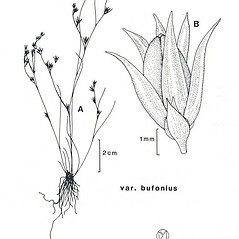 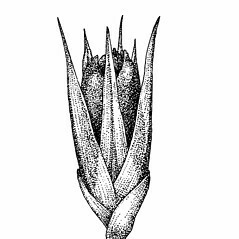 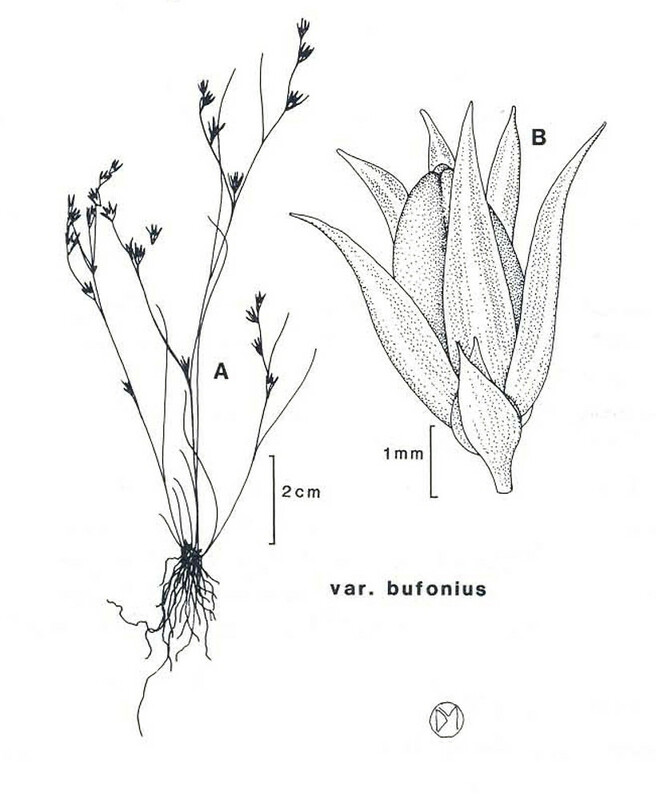 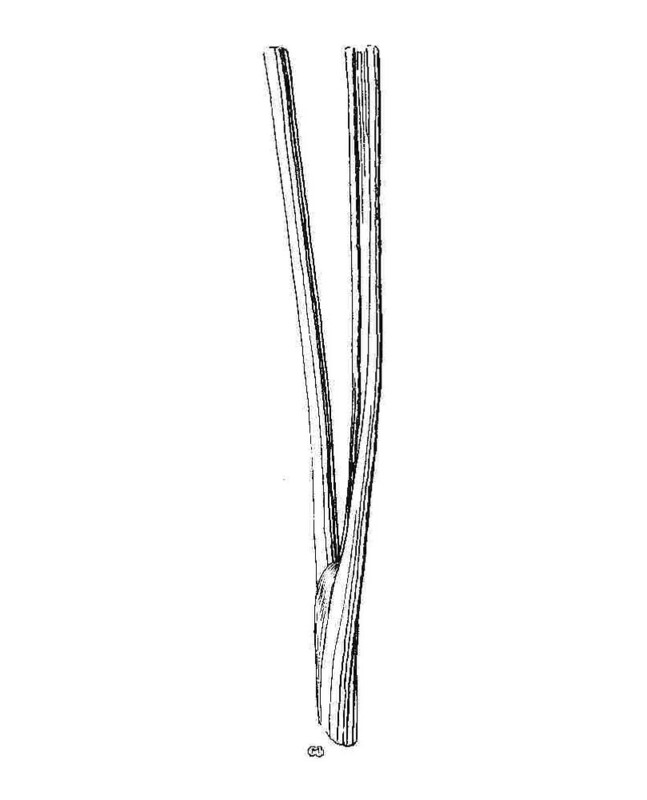 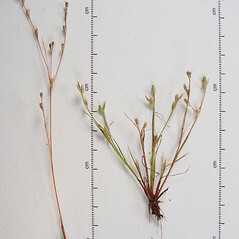 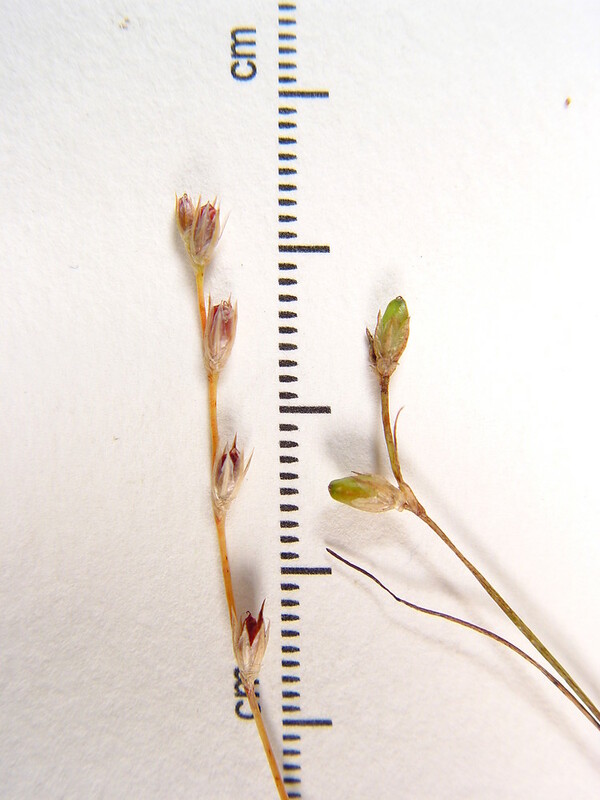 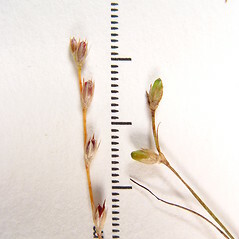 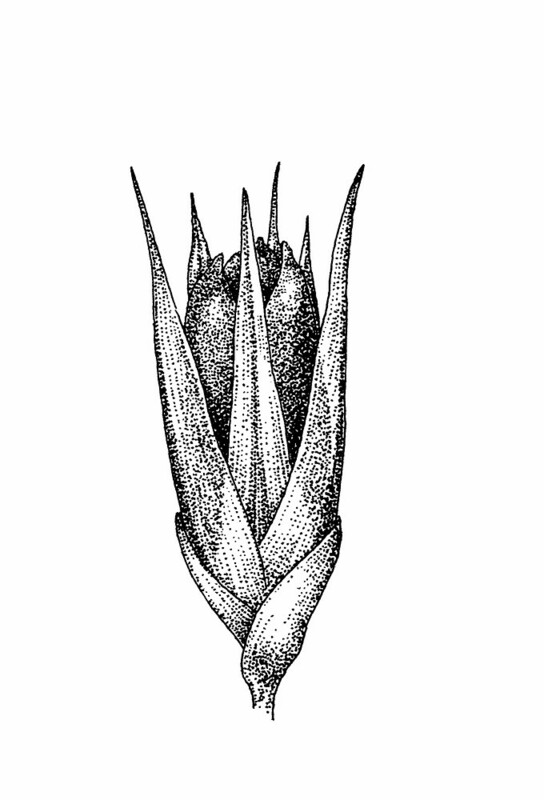 inner tepals rounded to acute at the apex, many equaling or shorter than the capsule, capsules mostly truncate at apex, and inflorescences relatively dense (vs. J. bufonius, with inner tepals acute to acuminate, exceeding the capsule, capsules mostly acute to subacute at apex, and inflorescences relatively open). 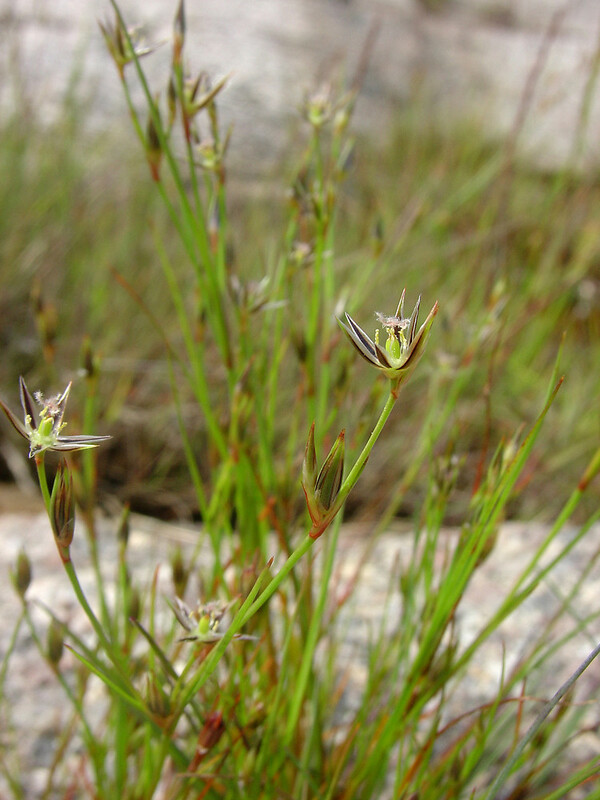 toad rush. 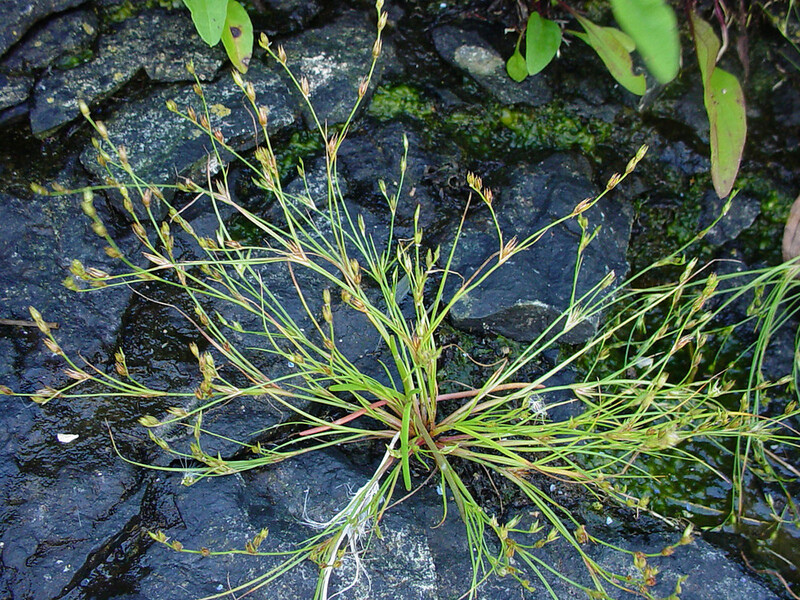 CT, MA, ME, NH, RI, VT. Roadsides, meadows, edges of lawns, shorelines, coastal beaches, and seasonally wet, open areas.